When I kicked off the “Lean Memes” contest last month, I had no idea what I was starting… I figured I'd get a handful of entries. Well, I got well over 100 from a number of people, including 5 or 6 very active participants. Although the term “winner” should maybe be applied loosely to all of us and our weird, Lean-warped senses of humor, I managed to name a winner — instead of being from a single “best meme,” it was more a combination of quality and quantity (but, as in Lean, quality first!!!). “Awesome” meme (at left) created by Brian Buck. Since this was all very subjective, there's no point in detailing the methodology… let's recap the best of the best of what made me laugh loudest or surprised me the most (or both). There were lots of laughs, so it was very tough choosing a winner. In fact, prizes went out to three individuals, instead of the promised one winner. Check out all of the memes at www.LeanMemes.com. Although his memes are just labeled as “By Ryan” (which led to questions about that being my pen name), the winner is Ryan McCormack, Transformation Manager at St. Boniface Hospital in Winnipeg Manitoba Canada. See, he's a real guy. I shipped my Lean Blog “5 Whys” parody mug to Canada (the only one I've had made, although you can buy one). Ryan also won a Kindle version of a book of his choosing from Amazon. No, he didn't win just because he has my new book. Chad has been a great pinch hitter as a guest blogger here and he has a really interesting blog about Lean in the sports world – Lean Blitz. Chad won an autographed copy of Lean Hospitals and my “A3 Sensei” parody mug. Strangely, the value of the second place prizes was higher than first place. That sounds like a meme waiting to happen. Chad had many great memes… he battled to the end with Ryan. Guest blogger Christina Kach (who now has her own blog focused on young professionals) was, I think, the very first to participate. While she didn't have the quantity (probably because she has a full time job and has started graduate school), there's great quality in her work. I need to send her a prize… other than Christina becoming a meme herself (she started that). I really, really, really hated having to pick a winner. I almost refused on the grounds that an extrinsic prize would have stifled their intrinsic motivation and creativity. Thank you to everybody who participated. 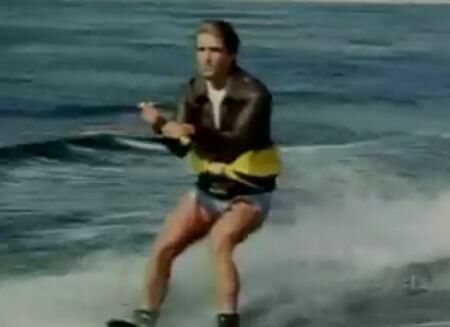 You can still submit memes, as I think this site and the memes may continue to have legs (or the idea will jump the shark – ah, the Fonz, again). There are still some in backlog, waiting to be published. I only decided to not post a few — either because they didn't really make me laugh or there were a few that were too edgy (more so than this one, which I maybe shouldn't have published — PDon'tCA, Pants Don't Close Always – it's safe for work). To see all of the great contest entries, click here. Or, click here to see all Lean Memes. I didn't put the ones that I made into the “Contest” category. Thanks to everyone who participated!! Which were your favorites? You can comment here or on the LeanMemes.com entries.